Michele brings more than twenty years of experience to our team. Beginning her career as a dental hygienist, Michele graduated from Wichita State University with a BS in Dental Hygiene and Health Science. She practiced dental hygiene for many years. Following dental hygiene she had the opportunity to work as a dental consultant, where she served as a management consultant for dentists. Most recently she plays the role of a specialist at helping people navigate their scheduling and insurance needs. She also works as a liaison for doctor and patient communication. In Michele’s free time she enjoys spending time with her 3 sons and being active in her church. Susan has been a member of the Dentistry by Design team for over 15 years, and she cherishes the relationships she’s developed with her patients over the years. 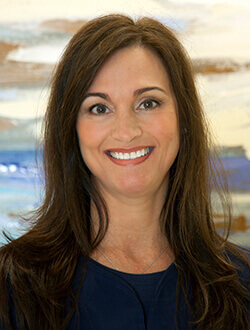 Susan earned her bachelor of science in dental hygiene at the Baylor College of Dentistry. 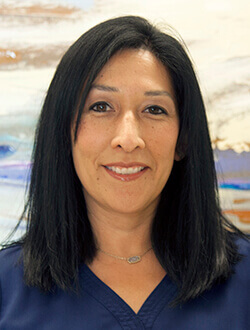 She is licensed by the Texas State Board of Dental Examiners, and she maintains the CPR certification and continuing education hours necessary to renew her licensure annually. That means she stays at the forefront of the field, and she brings that knowledge back to our patients. Susan is married, and she and her husband have two children. In her spare time, Susan enjoys volunteering in her community and traveling with her family. Despite her dedication to oral hygiene, you might just catch Susan sneaking one of her favorite treats – sugary hard candies! 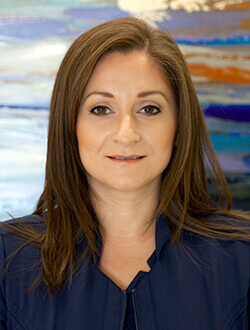 Brand new to our office in 2016, Priscilla has over 17 years of dental experience, and it shows! She is passionate about building relationships with her patients and helping them feel comfortable throughout their appointment. Priscilla is CPR and nitrous oxide certified, and she is licensed by the Dental Assisting National Board and is also a massage therapist. In her free time, Priscilla enjoys spending time with her family and spoiled dog, Petie. She is active with her local church, and does volunteer work in her community. She enjoys working out, going to the beach, and cheering on her Dallas Cowboys. Laura joined the Dentistry by Design team in 2014 bringing nearly two decades of dental experience with her. She loves working as a part of our caring team, helping patients receive the care they need in a comfortable environment, and having the opportunity to continue to learn and grow in her profession. She studied dental assisting at ATI, and she has certification in CPR and nitrous oxide monitoring. Laura also completed CEREC same day restoration training. Outside of work, Laura is happily married, and she is the proud mother of three daughters, Abby, Tori, and Ella, and a son, Joseph. She enjoys participating in church ministries, swimming, cooking, and spending time with her family.